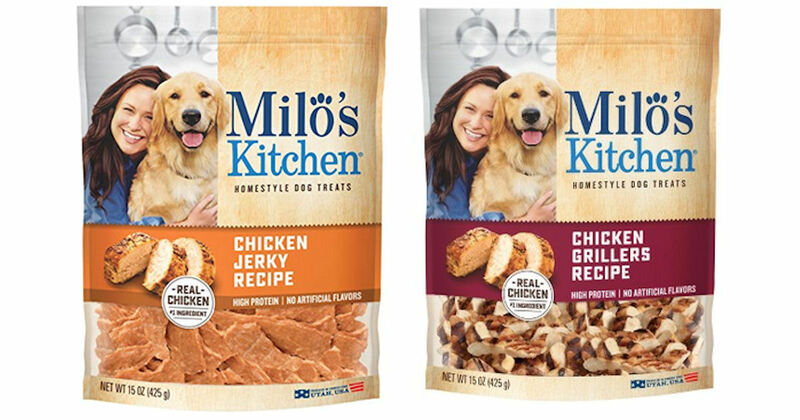 If you purchased select Milo’s Kitchen Chicken Jerky or Chicken Grillers Home-Style Dog Treats in Missouri during March 1, 2011, and January 21, 2013 you may be eligible to receive a free cash settlement. You may be entitled to up to a $12 payment without proof of purchase and up to $100 with proof of purchase. The claim period ends TONIGHT 4/2219, so be sure to file by that date if you qualify.